We recently went for marriage counselling. Some friends raised their eyebrows when they heard the word “counselling” and I found I had to quickly explain that while we don’t have major problems in our marriage, we wanted to work on our weak areas and have a plan for our growth. Our coach was Winifred Ling, who is based at Promises at Novena Medical Centre. Overall, our experience was comfortable; nothing too intimidating or intrusive. We took turns answering some of the questions and tried not to laugh while doing so. It was actually quite an insightful exercise as we don’t often get the opportunity to think about such things, much less share with our partner about them. Over the three sessions we had with her, we each discovered a couple of things. One, my hubby realised that he wasn’t sure how to support me through my grieving (my godmother has a terminal illness). While he had been through loss of his own, the context was different and his way of dealing with difficult emotions was to park it somewhere and move on with life. Two, I realised that there had been times when I would silently sweep my struggles under the carpet instead of opening up to him and asking for support. When times are hard, I am more inclined to stay silent than to cry out for help. We also learnt that there are perpetual problems (problems where there are no real solutions for) and temporary problems (problems that can be resolved). Many of us are not aware of this but it could well be the reason why we sometimes argue over the same thing. Perpetual problems are usually linked to very fundamental values and aspects of our personality. For example, to him, money is something to be saved for a rainy day, while to me, we also need to enjoy money for the here and now. So disagreements linked to finances can sometimes boil down to this fundamental difference in the way we perceive money. Or he may be neat and organised in the home, while I have a higher tolerance for mess. Rather than insist that the other person changes their ways, we need to find ways to cope with such differences, or come to a middle ground. Winifred also guided us to practising healthier ways to communicate during conflicts and deal with our differences. She also helped us see that we bring different strengths into the marriage, as well as different weaknesses. The best part for me was when she made us re-do a conflict situation using a simple principle: Behind every conflict lies differing dreams. Often the dream is linked to some of our own experiences growing up, or just something we value, like freedom, creativity, or stability. We don’t often express this dream but it silently drives our behaviour, and sometimes, it makes us hold fast to our position and it becomes a struggle to let go of whatever it is we want to achieve. It can be very frustrating for both parties during such a stalemate, because we don’t articulate and understand each other’s dream and vision behind the conflict. This was the biggest ah-ha moment for me. Not only did it help me in my own self-awareness, it also helped me understand his perspective and why he behaves the way he does. Marriage is for a lifetime. It is worth investing in. In conclusion, my thoughts are: Marriage counselling isn’t such a scary experience. It is actually very helpful to have a professional guide sit beside you and facilitate the digging deep and unveiling process (similar to peeling an onion, and yes some tears will flow too). Many couples will think, “We don’t need it,” and place it on low priority…until something blows up in the marriage. Just like we go for regular health checks, it is totally worthwhile to invest in your marriage for the long haul by going for a marriage checkup. Problems and issues will be unearthed, and new strategies and ideas will be learned and applied. Your marriage and family will thank you. Winifred is offering a 10% discount for the first session to all my readers. (U.P. $300 for a 1.5 hour session). To make an appointment, call 6397-7309 or email wini@promises.com.sg. You can check out her credentials here. PS. Winifred was kind enough to offer us pro-bono counselling sessions as she wanted to raise more awareness in the community of such marriage coaching services. I utterly enjoyed the sessions and was thankful my husband was brave enough to join me! Thanks Winifred! I’ve noticed that my husband and I have established some rituals of connection. This is a term I picked up from the Gottman Institute. 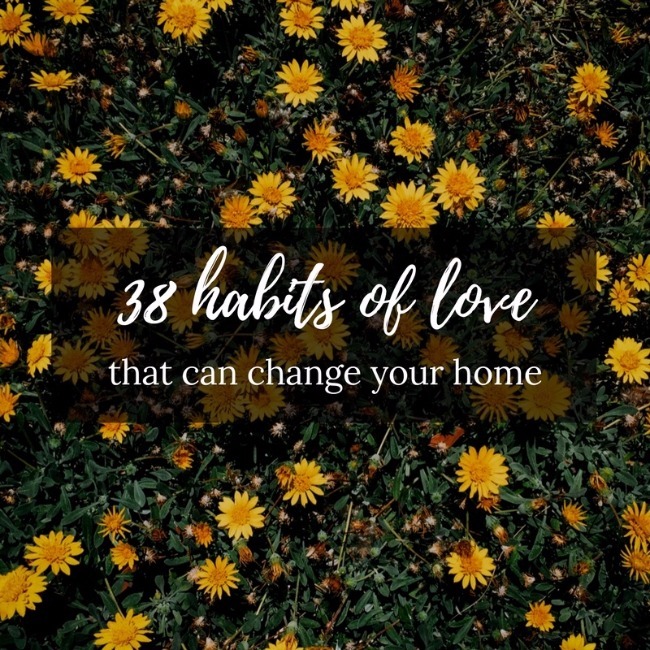 Rituals, as the name suggests, are regular habits of interactions with our spouse. For us, it’s the morning kiss as he bids me goodbye and leaves for work. It’s the bedtime hug or “love you” that we give each other before turning in. It’s the coffee that we make for each other during weekends. It’s the bi-weekly date nights that we aim for, even if it’s just to check out a new coffee/food joint. (We now have to plan this in stealth mode as the kids are quite possessive of us these days). He smiled, albeit in a half sleepy state. I have no idea how much he really receives from me every night, but I know that I feel loved and cherished at the end of it. I guess that’s what really matters. I hope to say “thank you” to him more. Maybe that could be a new ritual – a ritual of gratitude. I hope to surprise him more (a breakfast in bed morning perhaps, or sweet text messages) – a ritual of giving delight. Even when I feel cranky or overwhelmed with the kids or with the day’s troubles, I hope I still find the strength to smile and ask for a hug. A ritual of turning towards. With kids in the picture, it’s easy to lavish all our affections on them and neglect our spouse. 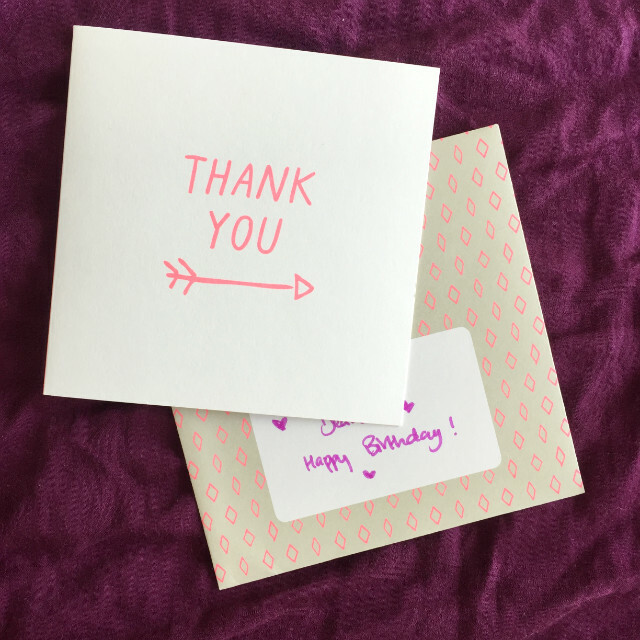 These small everyday rituals remind us that we still have each other at top of mind. 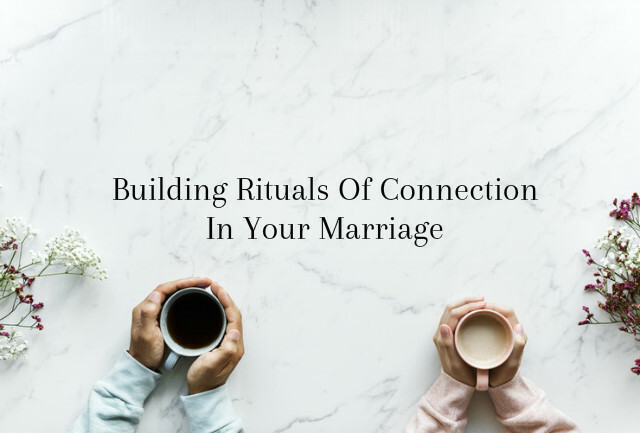 What rituals of connection do you enjoy in your marriage? We recently celebrated our 8th year of marriage by taking a day off. My mum came to help with the kids, and we took off — the entire day. We didn’t plan anything big or extra special. We just went for a prata breakfast, walked around town a bit, shopped, talked, took a tea break, and then ended with a light dinner and drinks atop the National Gallery. With no kids around, it felt like our conversations were so adult-like, so quiet (like a mini-retreat, which is one of the things we do to keep love alive.) But it was good because we got to touch base about what we were feeling, and we got to hear each other’s struggles and fears. I’m thankful that we’ve come so far. And I’m also aware that we have a long road ahead of us, God-willing. Here are 8 important things I’ve learnt in our 8-year journey. Marriage requires trust, which is probably the most difficult thing to build, and the easiest to tear down. It requires us to allow ourselves to be seen by our spouses, to be vulnerable. I don’t know about you but there are times I just don’t want to show my weaknesses and flaws; I want to present my strongest side, my best self. Ironically, the more we try to hide, the harder it is to build trust and cultivate healthy love in our marriage. Worldly wisdom tells us that most marriages tend to go nowhere but down. I guess the increasing divorce rates across the globe speak for themselves. However, I believe it’s possible for things to get better over time – the key is hard work, a dash of humour, and lots of grace. 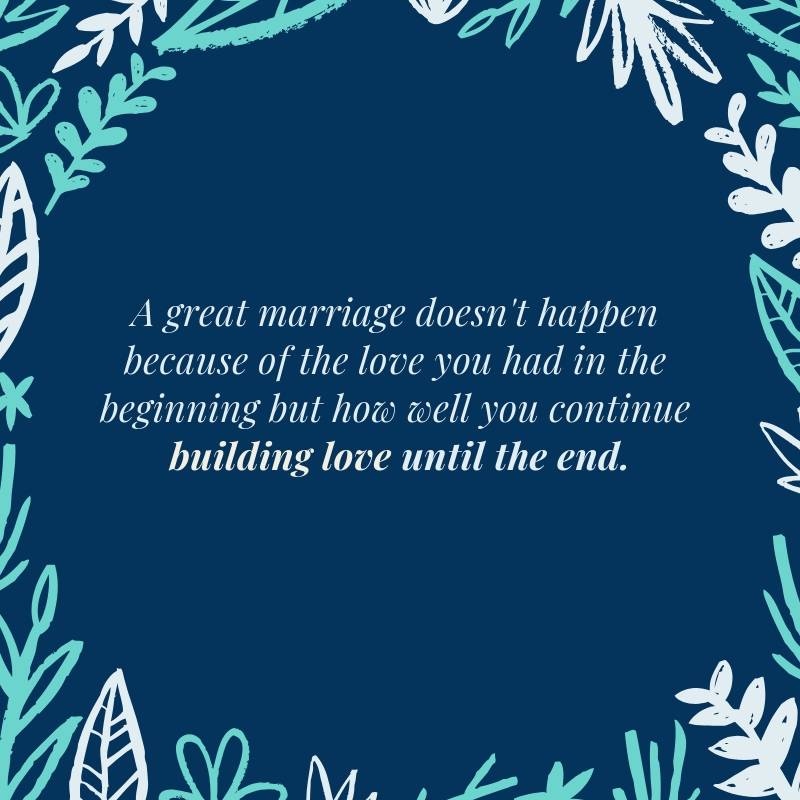 While things can get a bit stale after a while in the love department, always remember that what you have at the end of many years of ups and downs is a marriage that is stronger to withstand trials and temptations. It may not be lovey-dovey sweet nothings all the time but it’s a love that is faithful, committed, practical and lasting. A love that helps you both become the people God created you to be. And that is a love to be thankful for. Small acts like making him his favourite coffee in the morning, allowing her to sleep in while you take care of the kids, saying “thank you” and “I love you,” laughing yourselves silly over a joke, kissing before leaving for work, and a hug at the end of a long day – these are seemingly small and insignificant things but you’ll be surprised how they add up. Like keeping your word when you said you wouldn’t drink and drive, like keeping faith and not doing anything to betray his/her trust, like being there for your family whenever you can, like working to resolve unresolved issues that seem to crop up again and again. The small things may not add up to a break-up, but neglecting them over a prolonged period of time could lead to one or both parties feeling disconnected – you know the feeling where you don’t feel like you know who you’re married to anymore – which could then lead to the bigger things. So keep your eye on the small things, while also minding the big. Brené Brown wrote about this in her book The Gifts of Imperfection and it resonated deeply with me. When we are unable to love ourselves, or when we hold ourselves in contempt and disdain, it’s likely we will lash out at others with the same disdain and critical spirit. But accept yourself as a human being with strengths and weaknesses, and with the capacity to grow and learn, and you will likely be more forgiving to others as well. When I struggle with loving myself or others, I remind myself of what the bible says, “We love because He first loved us.” Jesus doesn’t love us because we are loveable, but He sees us as His own, and He chooses to love us anyway. Every relationship needs a support network to thrive. People who have been through the good times and bad, people who will be able to give you sound advice and walk with you when you’re going through a bad patch, people whom you can trust to have your best interests at heart. I’ve been through my fair share of pounding on his closed door and demanding that “we deal with this right now.” But it has always backfired. 100% of the time. When the man needs his space, he needs it. Otherwise he can’t think, much less verbalize to you what he’s feeling. I think the same goes for some women too. Over the years, I’ve learnt to distract myself from the urge to push him into the corner, and just give ourselves some time to sleep on it and cool down. This, on the other hand…always works. Over the years, she may grow naggier. He may get grumpier and more stubborn too. But it is possible to not let love stagnate and die a slow death during the winter years. I’m not suggesting that you create an illusion of your partner, or that you swing into extreme denial of certain faults or issues that should be dealt with. But I think for most of us, our brains are so hardwired to pick out the bad things that sometimes we need to re-train ourselves to see the good that is there. See the good. Be thankful. And fall in love all over again. What is the most important thing you’ve learnt about love/marriage this year? If you’ve enjoyed this post, do share it with your friends and loved ones!